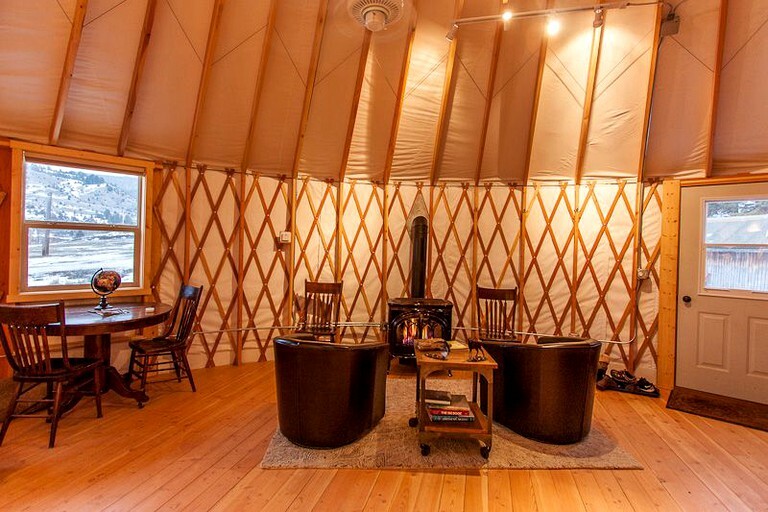 This pet-friendly yurt rental is spacious and luxurious, and a great rental for a unique glamping experience in Montana. Guests will be amazed at the amenities as well as its lavish details and finishings. 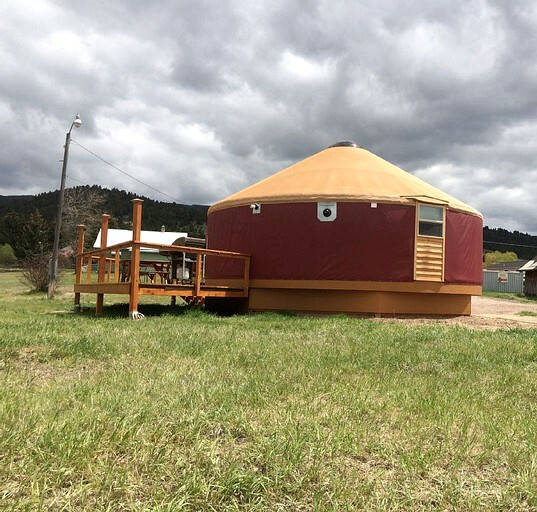 The property is hidden in a valley in southwestern Montana and has some of the best outdoor landscapes in the state, which can be enjoyed from the front porch of the rental. 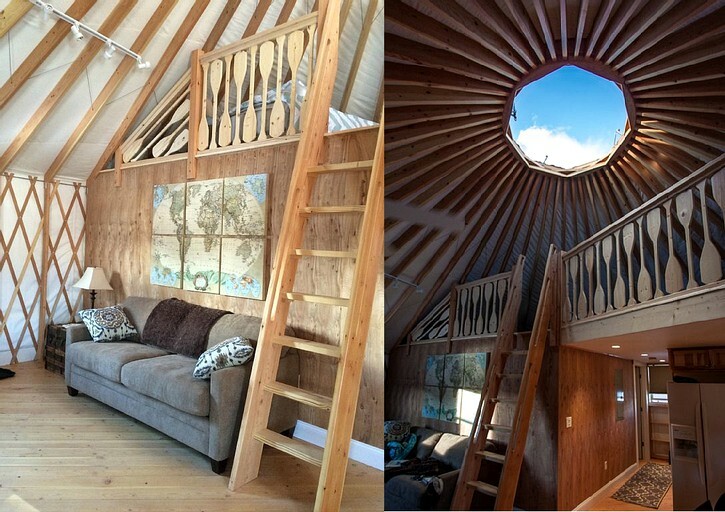 Putting a traditional yurt to shame, this rental is two stories and has plenty of hot water available for guests, around the clock. 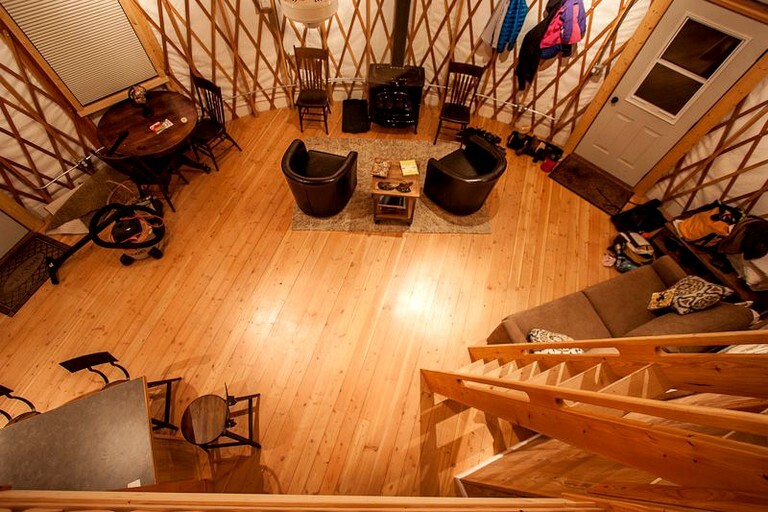 The yurt can accommodate seven guests and a pet, with one private bedroom and a loft. 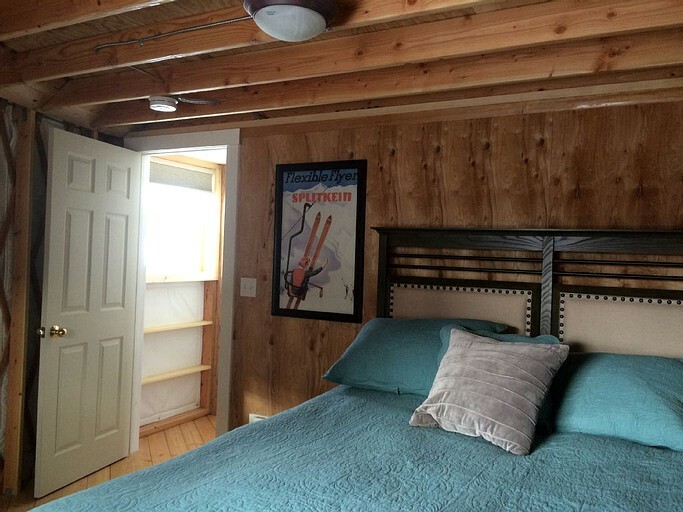 The bedroom has a queen-size bed, while in the loft guests will find a full-size bed and two twin beds. 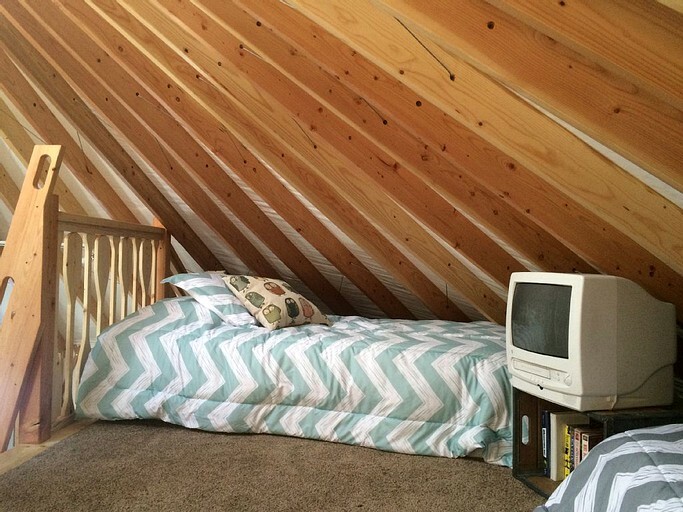 For additional sleeping arrangments, there is a memory foam pull-out sofa bed in the main room. 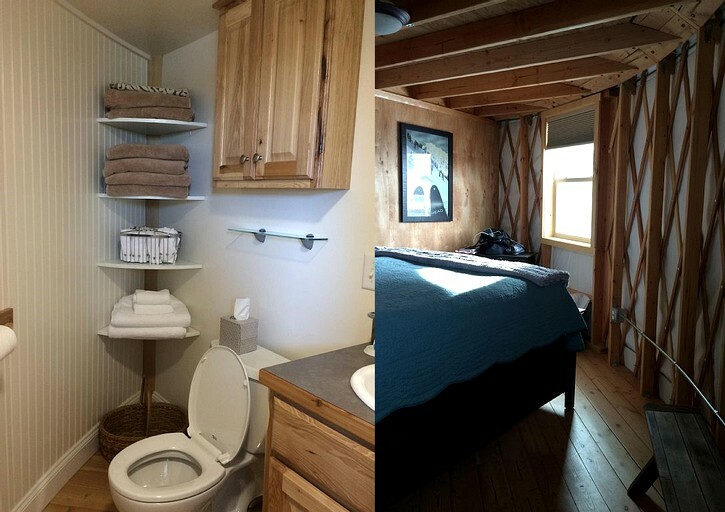 Downstairs, guests have a private bathroom. The living, kitchen, and dining areas are a connected and open space, on the main floor. 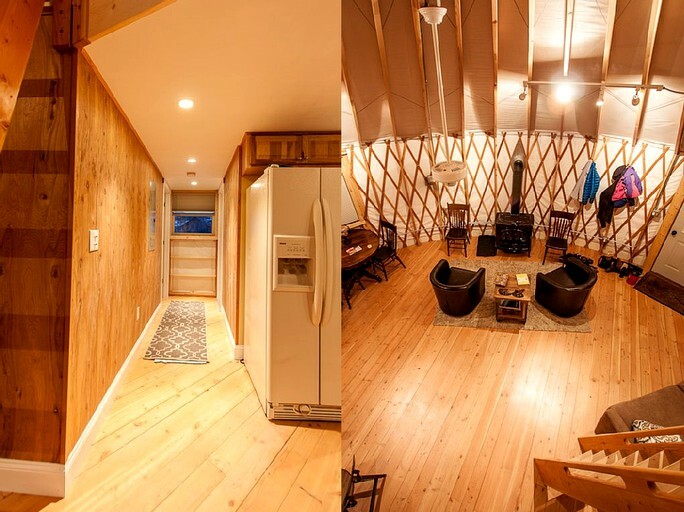 The living area has two chairs surrounding a large gas stove, with a cozy sofa just behind. In the kitchen, guests will find every appliance they might need to prepare meals from a stove, oven, refrigerator, microwave, and sink, to dishes, cooking utensils, and cutlery. Guest can enjoy their meals at the kitchen bar with high-top chairs. 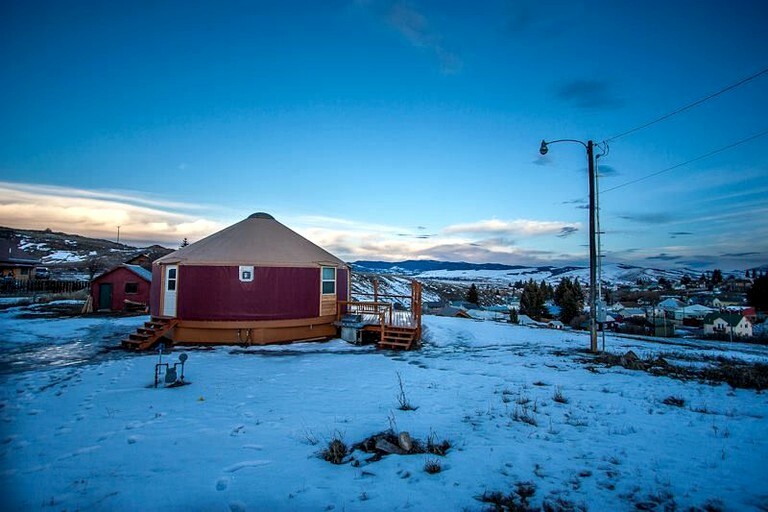 This property is equipped with everything and more for the ultimate Montana glamping experience. Linens and towels will be provided for guests throughout their stay, as well as the luxury of heating provided by the centrally located gas stove that warms up the indoor area quickly and efficiently. 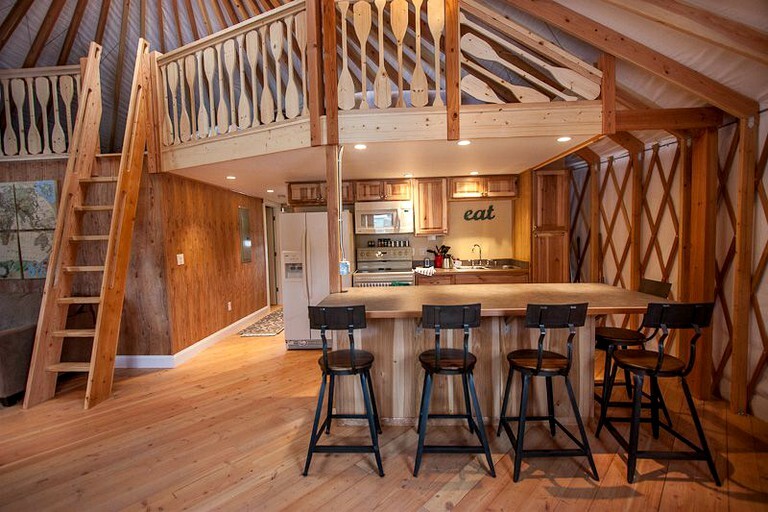 Guests can enjoy the use of a full kitchen with plenty of hot water for showers and other purposes. Outside, guests can relax and enjoy dinner on the large wooden front porch after preparing a nice dinner on the outdoor propane grill. 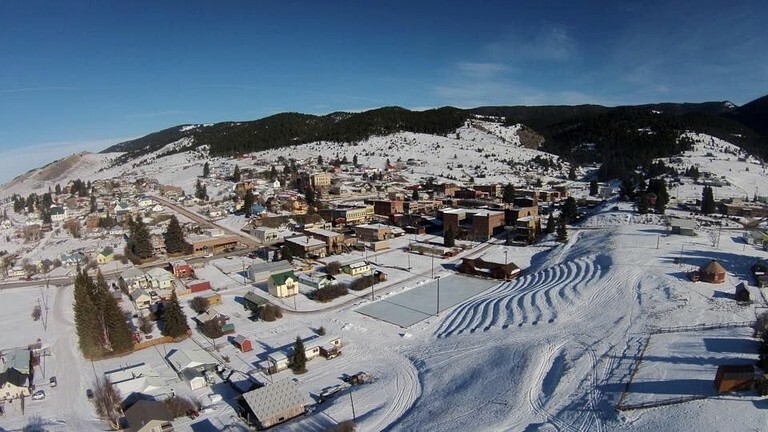 Philipsburg is a small town located in the western region of Montana, located about an hour fifteen minutes southeast of the city of Missoula and an hour and a half from the state capitol of Helena. 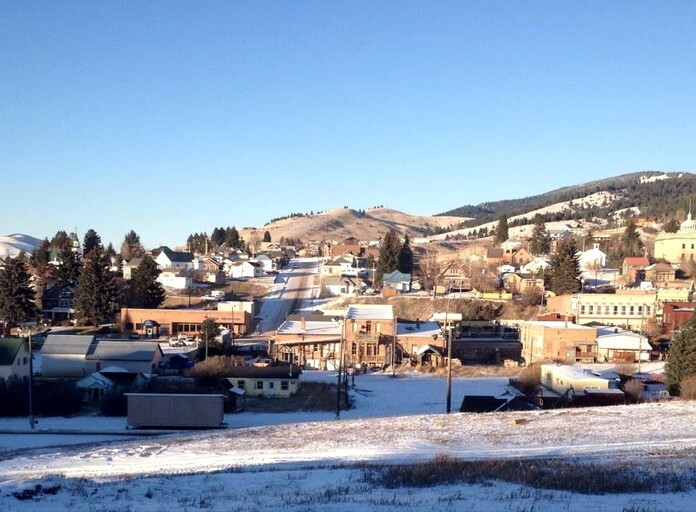 Philipsburg has an old small-town western feel and in the 1870s was a booming Silver mining town, that is until the Panic of 1882 when over 10,000 people left the valley in just a few days. The property lies just two blocks from the town center, perched on a hill overlooking the town from above. 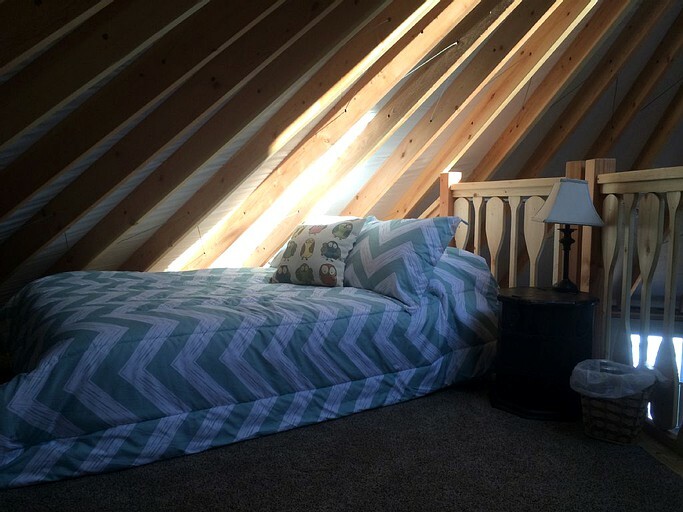 Within close proximity to ski resorts as well as lakes, hiking trails, and the Pintler Wilderness area, glampers will have an amazing getaway filled with beautiful scenery and outdoor adventures. There is lots to do in the area, from exploring some of the remnants of the Granite Ghost town, a Jeep road drive above town, to just hiking the mountains behind town to explore old mining activities. If a wilderness hike is more guests speed, the Anaconda wilderness is just a short drive to one of six to eight trailheads that lead into the wilderness. Fishing your thing? Rock Creek, one of Montana's Blue Ribbon fisheries, is only a 20-minute drive and has some of Montana's best and most accessible wade fishing in the summer and fall. If guests are adventurous (and experienced), try float fishing on Rock Creek during the famous salmon fly hatch in May and June. Georgetown Lake is just up the road and has lots of campgrounds and public boat launches. It is one of the best Lake fisheries in Montana and has rainbow trout, as well as a healthy population of Brookies, and even some Kokanee salmon. 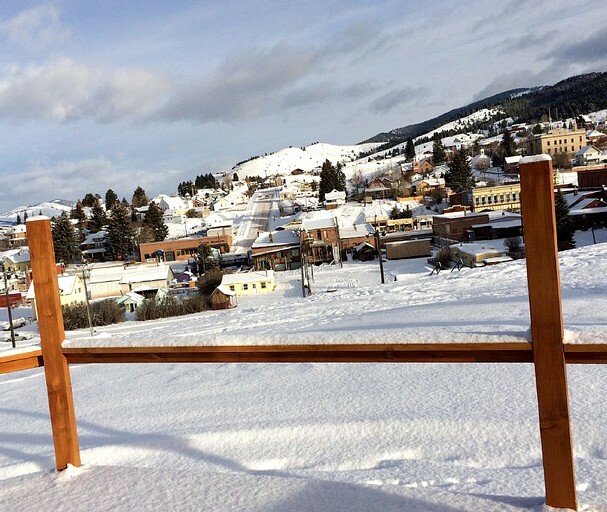 Winter is ski time in Philipsburg with Discovery Basin just above Georgetown Lake. 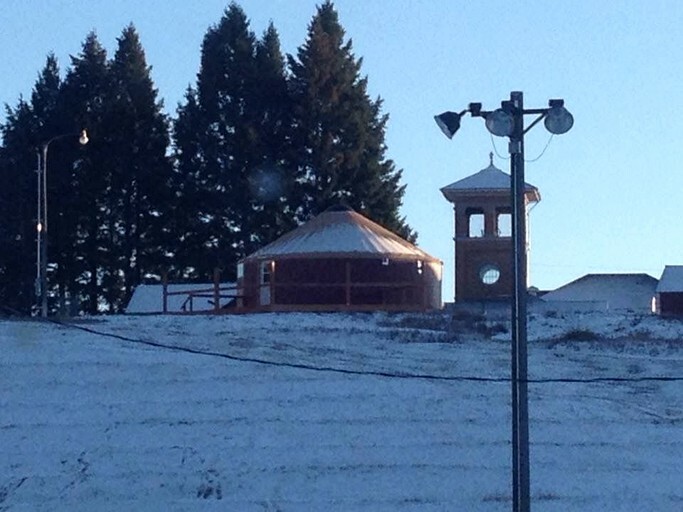 It is Montana's Hidden Treasure of a ski area. Not like the glitzy resorts, at Discovery guests may ride the lift with a rancher who after feeding cows came out for a few runs on the slopes. One of the greatest meeting places in the area is the Philipsburg Brewing Company, where for a few bucks guests can stand elbow to elbow with all the locals who stop in to enjoy the three beer daily limit. Pets are allowed on this property but must be approved beforehand by the host.